Want to take your social media posts for business from good to great? ✔ Make sure your hashtag is easy to remember, and spell. Don’t leave room for typos, which will make your post undiscoverable. ✔ Be realistic: don’t expect people to use your brand slogan or niche sayings if they don’t fit in to what they’re trying to say and there is no incentive for them to do so. ✔ Carry out research: check and see what hashtags people are already using, and capitalise on those. Also, make sure to check if your desired hashtag is already being used. If so, ask yourself if it’s the right fit for your brand. ✔ Give people an incentive to use your hashtag, whether it’s a prize or just recognition, your audience will respond better when there’s a two-way relationship. ✖ Overuse hashtags: if you’re on Twitter, max out at three per tweet, for Instagram, try not to go above nine and for LinkedIn, go for no more than five. Remember, size matters. ✖ Expect your brand slogan to translate to a hashtag. A hashtag is meant to be inclusive, shareable and discoverable. If it doesn’t fit naturally, it’ll feel forced and lose its purpose. ✖ Expect people to use your hashtag without reason. The best hashtags have the ability to draw people in and invoke curiosity to explore and join in the conversation. ✖ Be afraid to reach out to those already paving the way and see if they can help you push further. ✖ Forget to make it clear why you’re using a hashtag and why others should use it in their posts. ✖ Use all CAPS. Unless it’s an acronym, this feels overbearing and unnecessary. 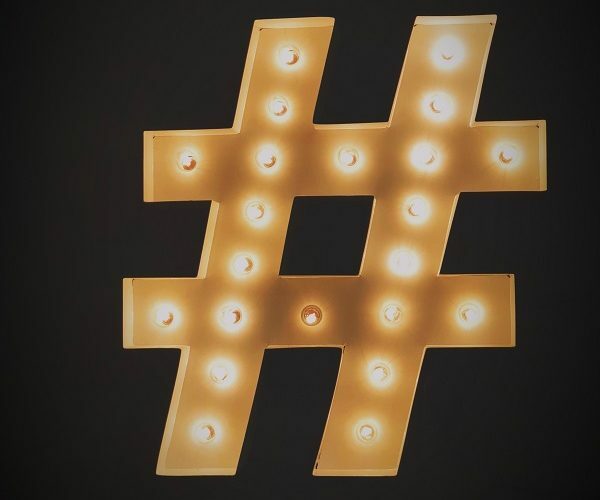 Using hashtags strategically is a great way to connect with existing and potential customers, find posts created about you and build long-term relationships with partners. The key takeaway here is: be thoughtful about how and which hashtags you use. Like any type of content you share on social media, it’s all about the intended audience. What value are you offering? What’s in it for them? Why will they be compelled to engage with you? If you don’t have an answer, don’t share.